I love screens. Big screens, little screens. I love where they can take you. I love movies. Funny ones, sad ones, romantic ones. NOT scary, or ones where animals die or appear to have died or come close to dying or leave for months and return after their families thought they were dead. I also LOVE TV. In the same way a movie is so carefully crafted to hook you in one seating, I love the idea that somewhere a group of people works tirelessly to keep you coming back episode after episode, season after season. Not gonna lie. I judged this one HARSHLY. While travelling in the states this summer everywhere I turned Lea Michelle or Nick Jonas was staring at me and I just kept thinking whhhhhy!!?! Well, shame on me. This campy, over the top tale of sorority girls fighting against the Red Devil Serial Killer is insanely entertaining. 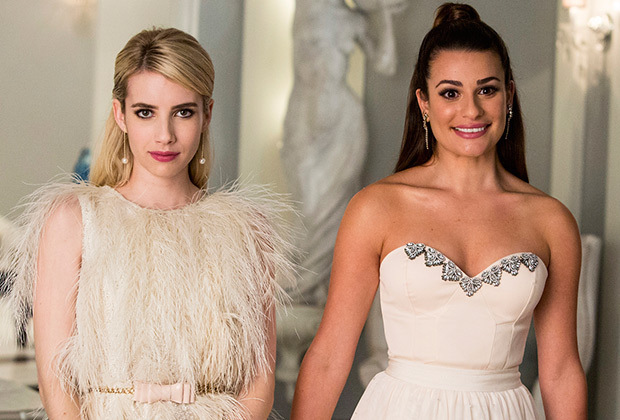 Cameos galore, unreal wardrobes and a great plot have me wanting more week after week. 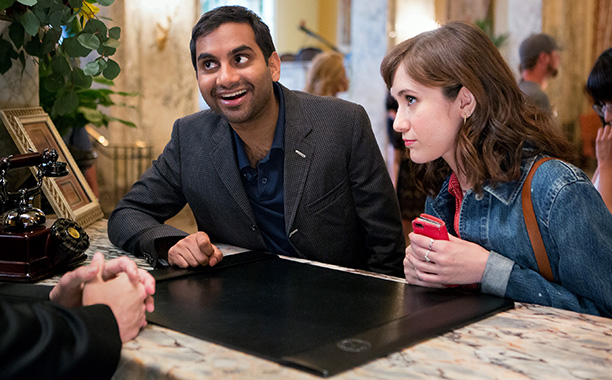 Aziz Ansari has found a way to bring topics that impact 30 somethings in a laugh fest like no other. From group chats with your parents to being the friend without kids in a group full of friends with kids. It hits close to home AND has you laughing until milk comes out of your nose. Or wine. Whatever. Canadian comedy has rarely hit me as hard as this one. I watched the first episode twice back to back because a) I didn’t realize there was a second one yet and b) loved it so so much. Yes, the original hook for me was Dan Levy. As a die-hard After Show lover, I was so excited to see him back in my living room on a regular basis. However, I quickly came to love each and every character as each episode went on. The show is not only ridiculously hilarious, but timely, and heartfelt while all the while being oh-so-dramatic and over the top. You pair that with Catherine O’Hara’s wigs and Eugene’s eyebrows, winner winner, chicken dinner. OK so, hear me out, this one is TECHNICALLY not out yet, but anyone previously reading the blog will know that Letterkenny is near and dear to my heart. 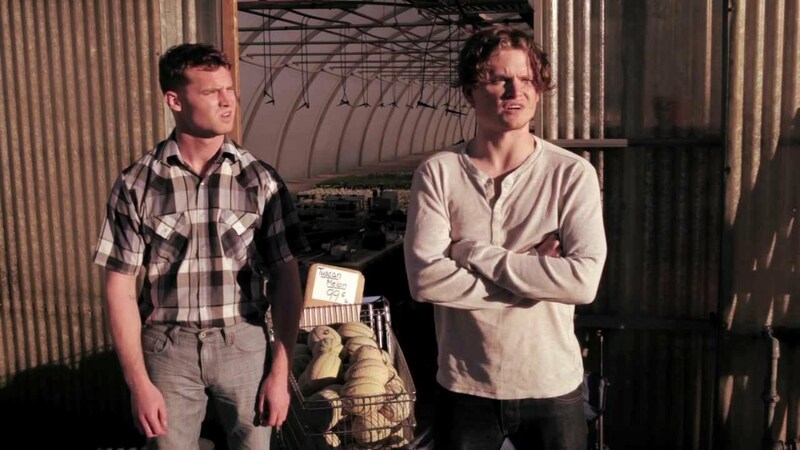 Letterkenny was inspired by growing up in Listowel, Ontario. Jared Keeso (of 19-2 notoriety), penned some YouTube shorts that took off faster than a coyote in heat, and the people wanted more. Thus, Letterkenny became Crave TV’s first original series. The show drops on February 7th on Crave TV,and I can promise that for fans of the YouTube series, you will not be disappointed.